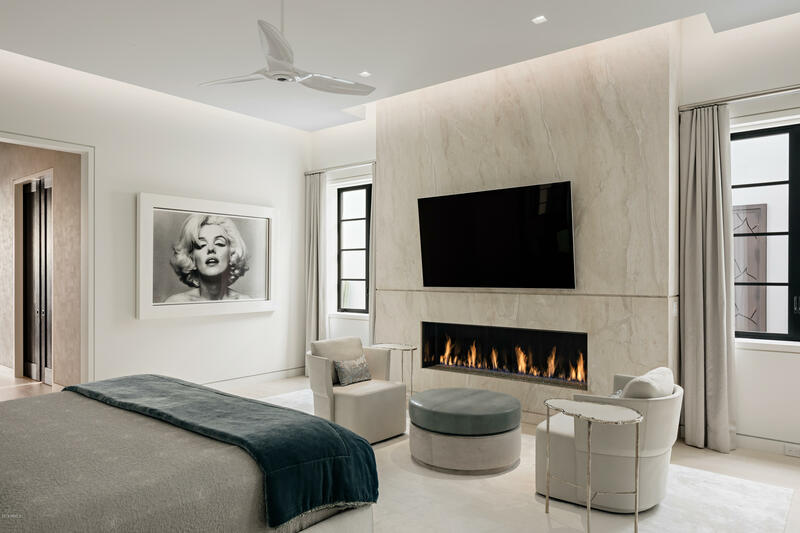 Nine large en-suite bedrooms including two separate guest quarters and a caretaker suite, master en-suite bathroom entirely clad in hand-picked Statuario marble, five separate laundry facilities, four sets of 10' fully automated Fleetwood doors leading to marble exterior terraces, multiple slabbed marble fireplaces and Davinci linear fireplace, multiple back-lit bronze art sculptures, 17' long custom wine cellar with 1000+ bottle capacity and a full custom kitchen as well as full chef's kitchen. 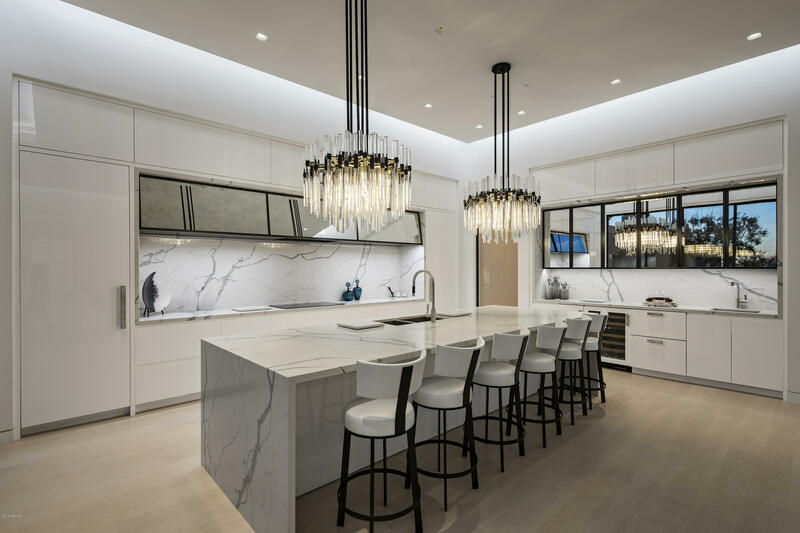 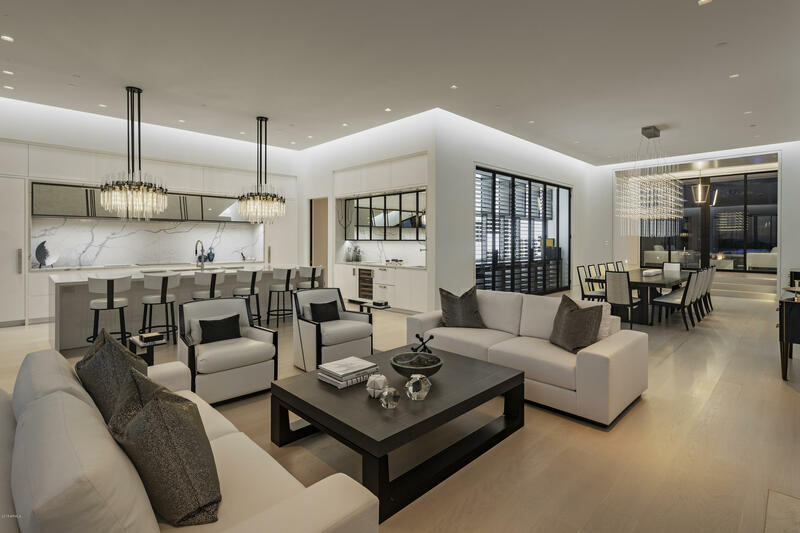 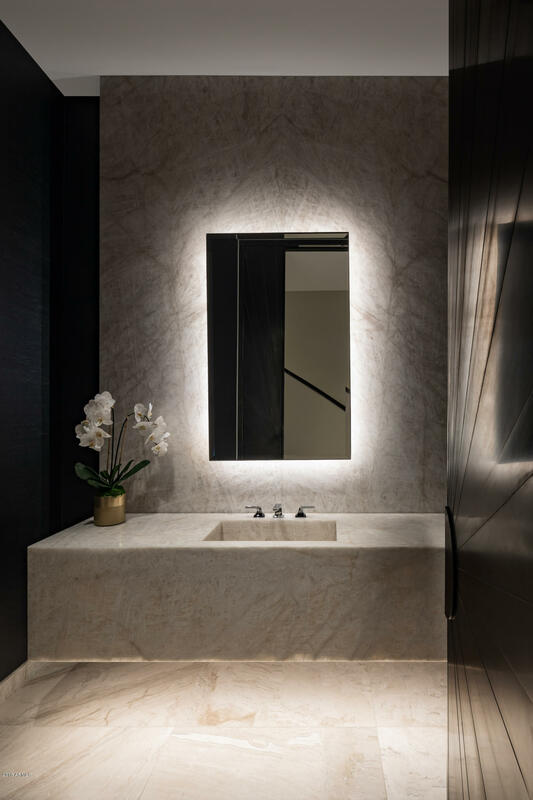 Effortless livability is enjoyed with state-of-the-art technology including whole home audio/visual streaming over true IP (with 4K picture) plus a full surveillance system backed on a digital server. 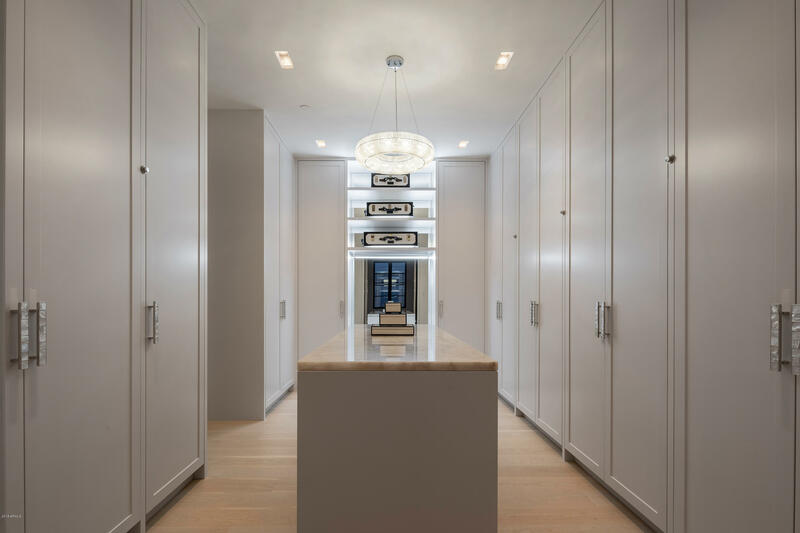 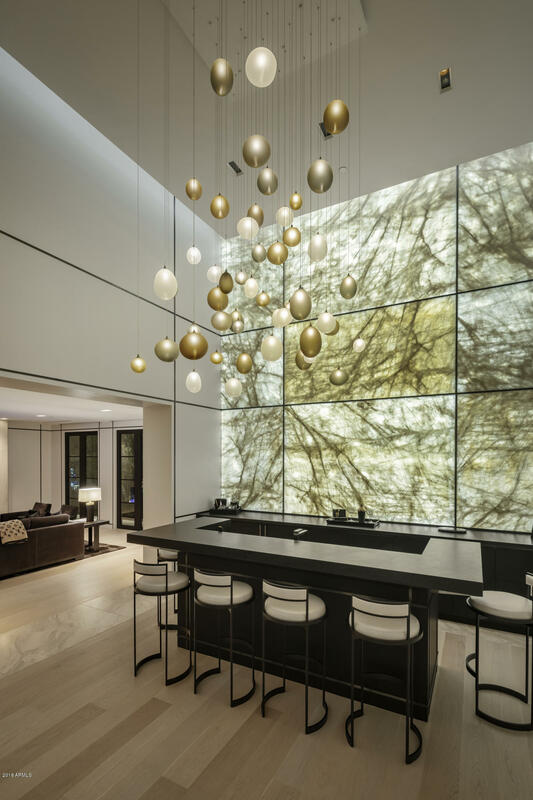 The attention to detail is remarkable and the use of fine materials in unconventional ways sets this home apart. 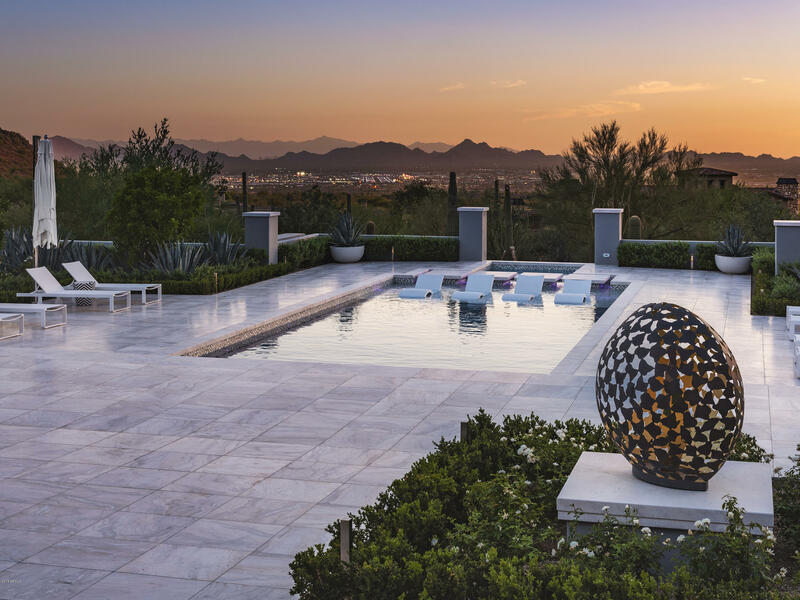 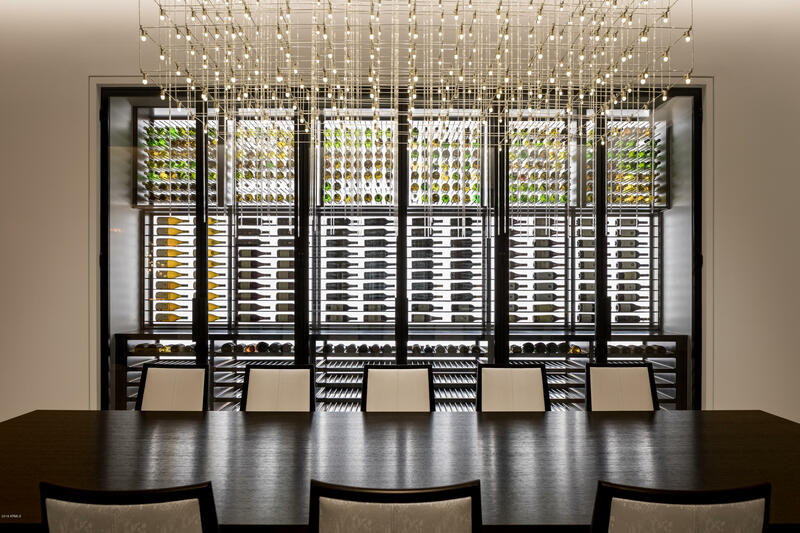 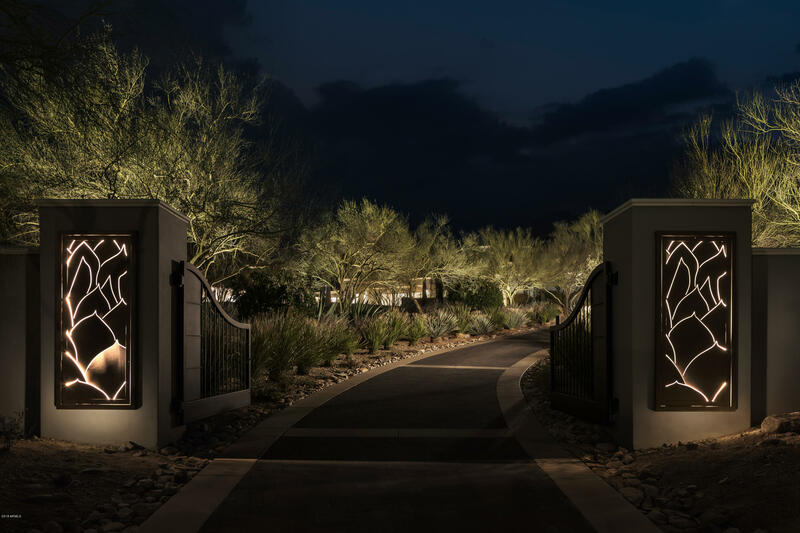 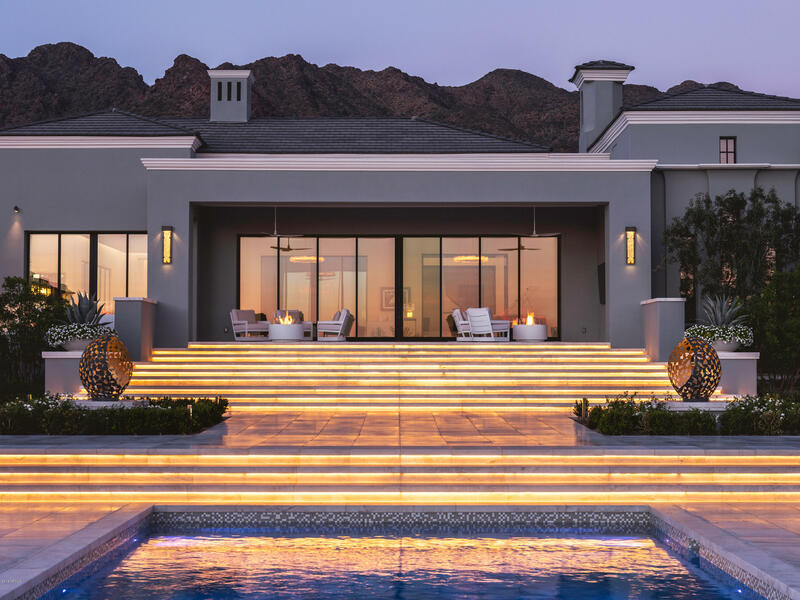 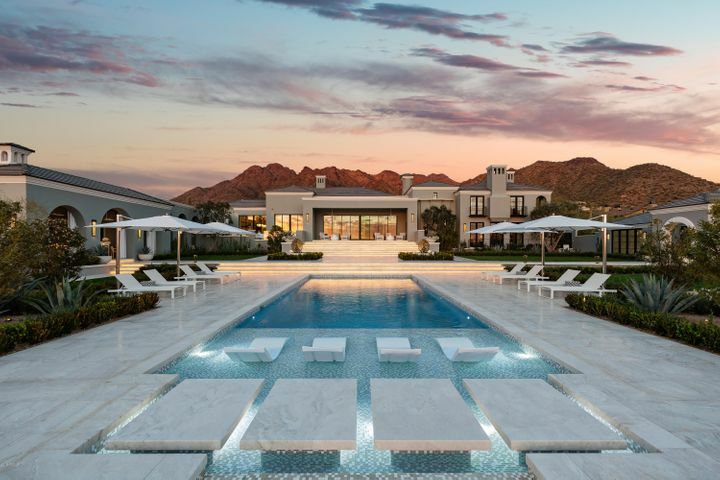 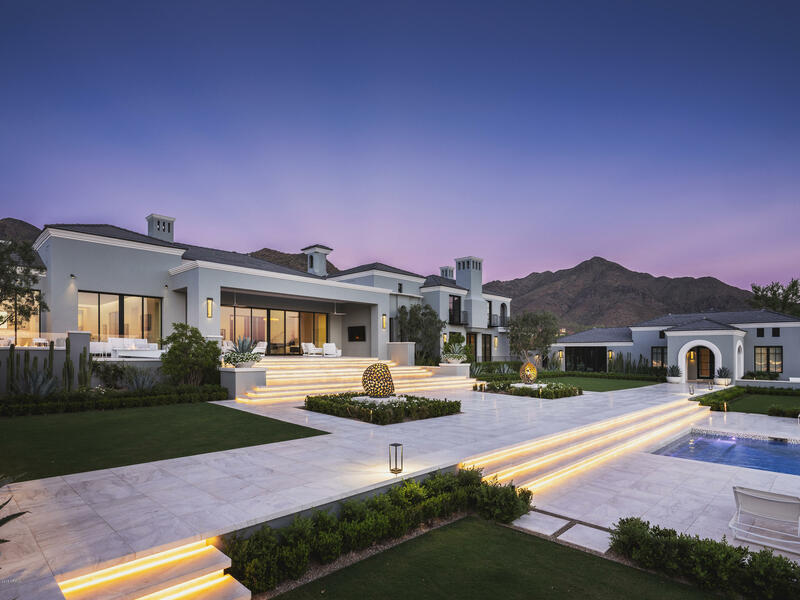 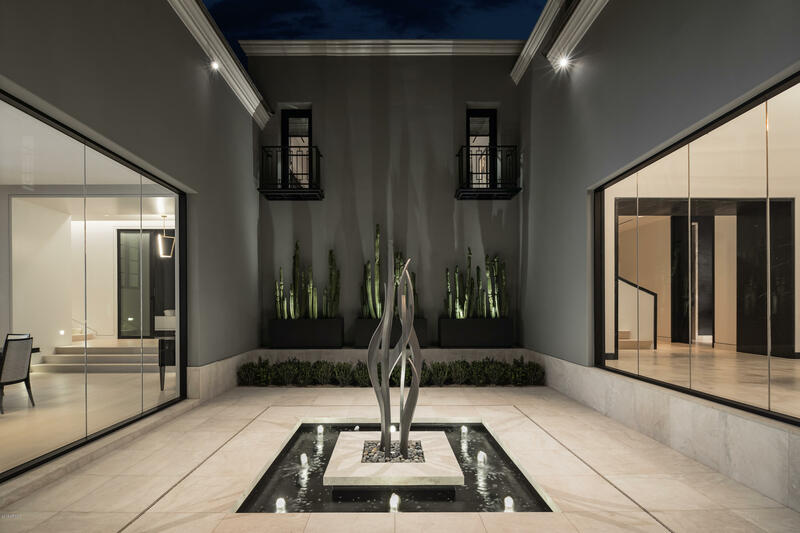 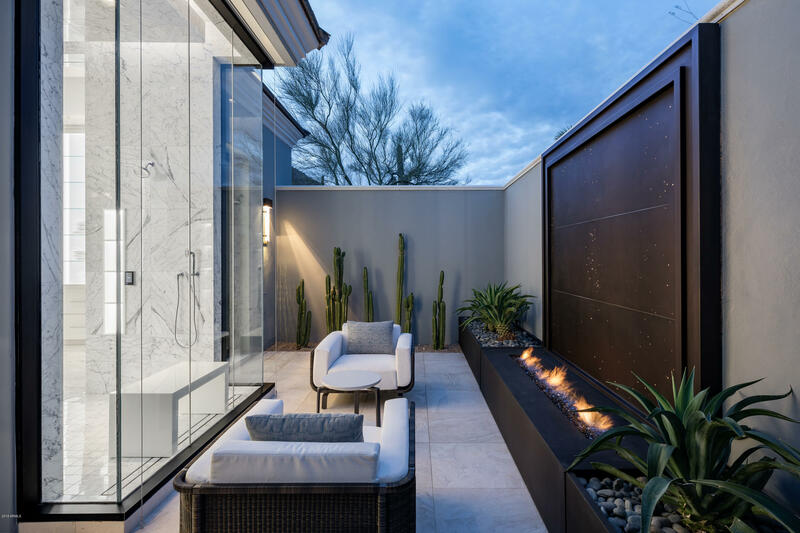 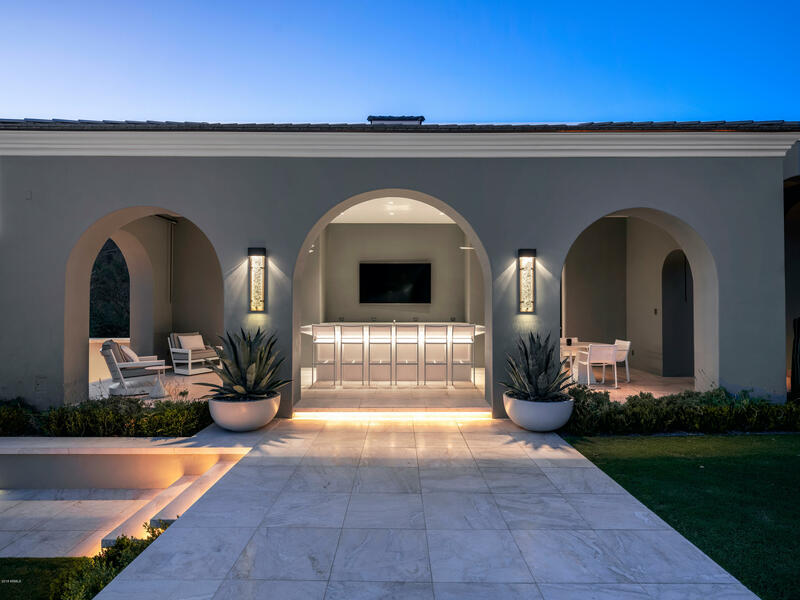 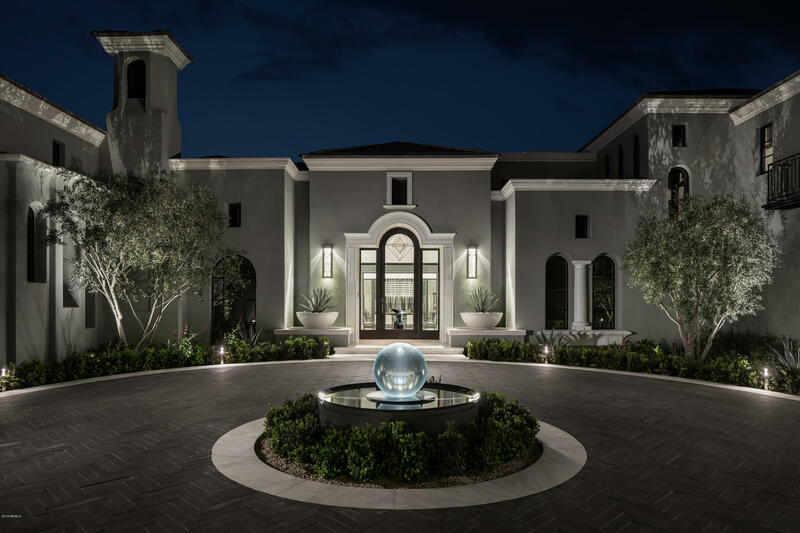 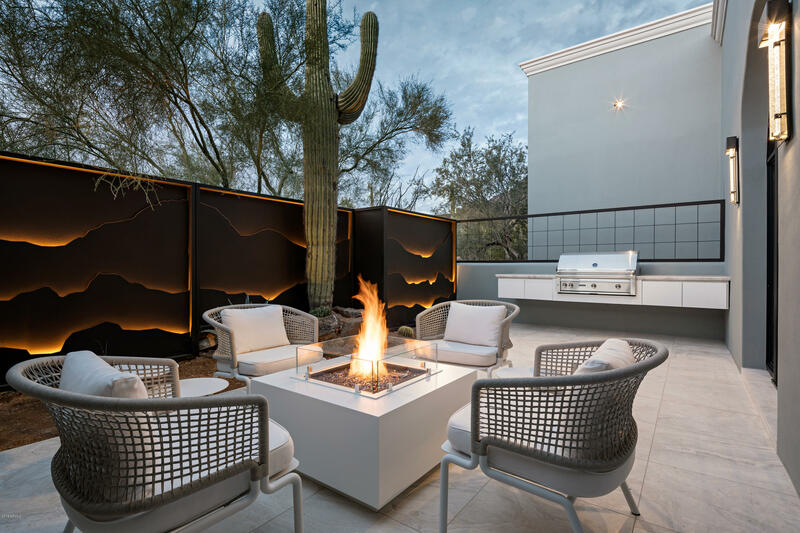 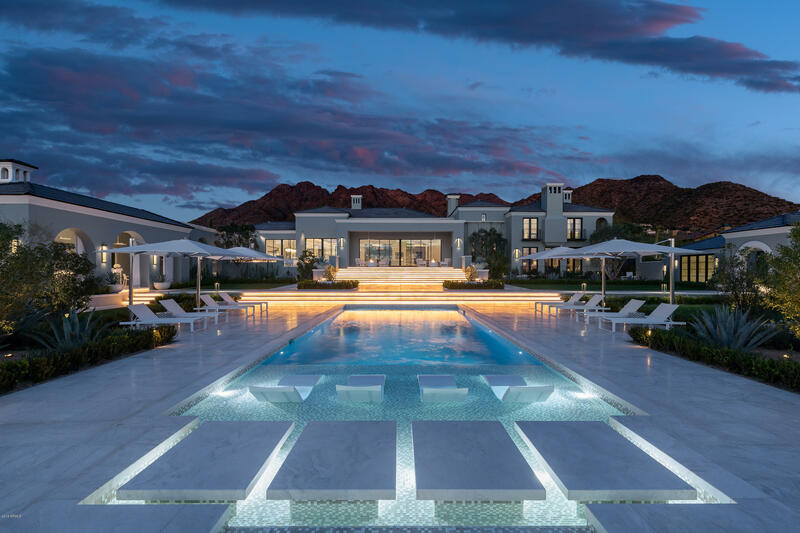 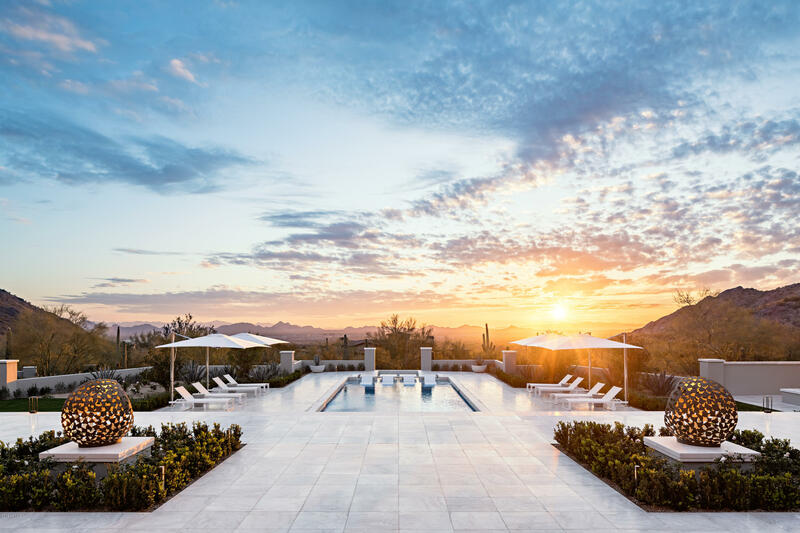 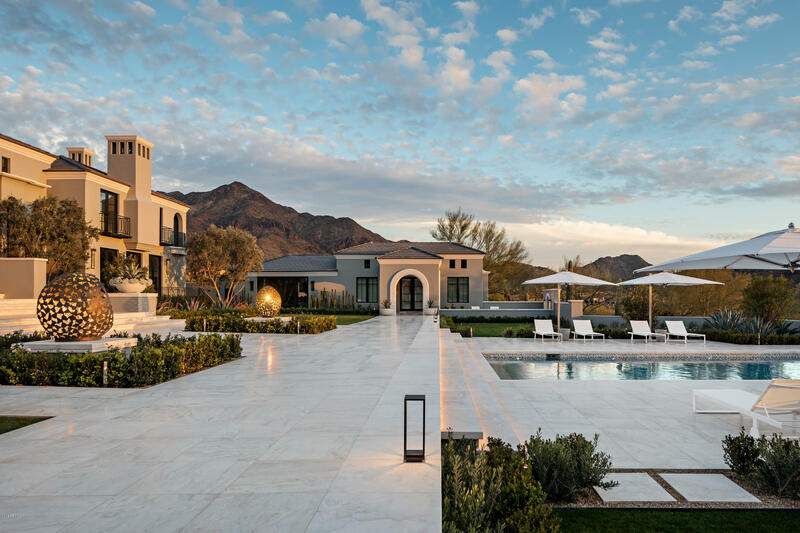 This property offers the perfect balance between privacy, luxury, drama and proximity to all of the amenities Silverleaf and Scottsdale have to offer.